Birthday or event coming up? Hire a multiple US Billboard Charting & Mardi Gras DJ! Adam Love has been DJing at private & corporate events since 2004, so brings a wealth of experience in a complete & competitively priced package. Can play any request at the event that is available on iTunes (no additional cost; organiser’s discretion). 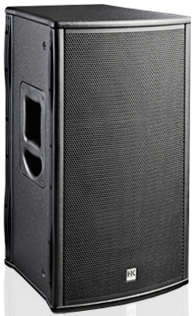 Adam’s setup includes high powered German made speakers, ensuring plenty of power for gatherings of up to around 300 people. As the speakers have a solid-wood chassis (as compared to plastic, giving superior sound) they’re a little heavier than normal, and transport costs (from Darlinghurst) apply. The cost of an Uber or Taxi, or your own transport is fine. Adam is aware that there’s nothing worse than having to shout to each other at a social gathering, and how quickly it can clear a room! He is extremely conscious of the crowd, and will ensure that music is kept at a level that your crowd is comfortable with. Booking confirmation including deposit. Remainder to be paid on day of event. A rough music brief if you have one, or simply a discussion on the type of event and the crowd. The names of any of your favourite songs! Have more questions? Need a quote? You can get in touch via the form below, and we will return your enquiry as soon as possible. How Did You Hear About Adam?